French police arrest over 100 after Halloween ‘purge’ riots | C.O.B.P. French police arrested more than 100 people after gangs of masked youths stormed through Parisian suburbs and the centre of Lyon on Halloween night, authorities said on Thursday, following a message on social media calling for a “purge” against police. 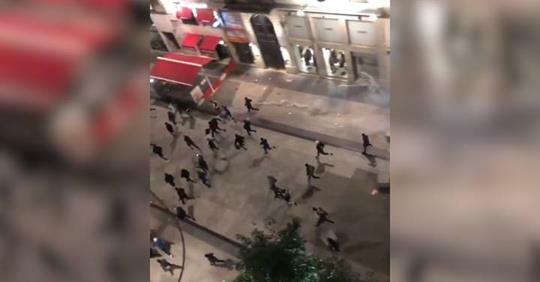 Police fired tear gas overnight at hundreds of youths, who barged through the city centre of Lyon, hassling police and passersby, shattering shop windows and setting rubbish bins on fire.